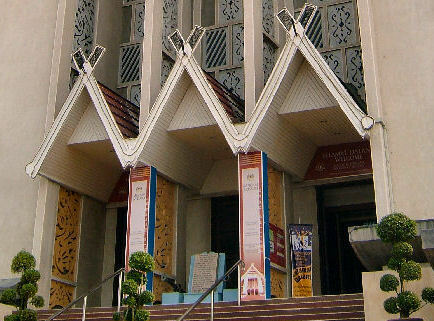 The National Museum (Muzium Negara) is the most principal museum of Malaysia. It has a large central main entrance hall that is flanked by two exhibition wings. In those wings (upstairs and downstairs) are: a Historical Gallery, a Metalwork and Musical Instruments Gallery, a Cultural Gallery, a National Sports Gallery and a Natural History Gallery. 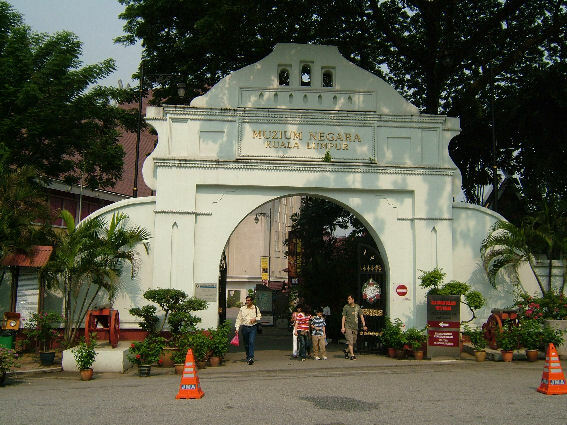 The Historical Gallery traces the different periods in the history of Peninsular Malaysia. The Cultural Gallery is a collection of various aspects of the Malaysian culture, from common everyday pastimes to important ceremonial customs. 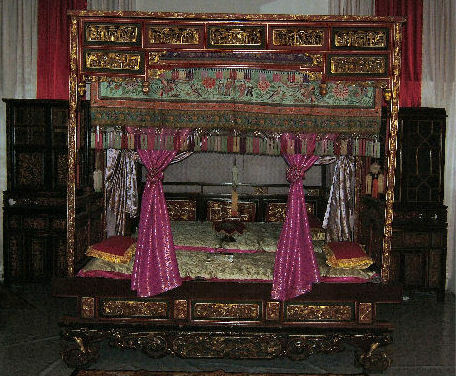 Included in the exhibitions are a Malay wedding scene, a royal circumcision ceremony, and an presentation on the heritage of the Straits-born Chinese. The Metalwork and Musical Instruments Gallery showcases various objects and utensils from kitchenware and ceremonial ornaments to weapons and traditional instruments of Malaysian music. The museum was set up in 1963 to serve as a repository of Malaysia's rich cultural heritage and as the centre for imparting knowledge on the country's historical past. Thematic exhibitions are held from time to time. On the museum's grounds are static displays including old locomotives, vintage cars and a replica of an ancient Malay palace. The ethnographic and archaeological exhibitions include life-size dioramas depicting various aspects of traditional Malaysian life. Shadow play (Wayang kulit) displays reflect the ancient artistry of the nation, while exhibits of traditional weapons such as daggers (kris) and machetes (parangs) reveal the Malaysian pride in functional aesthetic forms. Apart from the permanent exhibitions, the museum also holds regular thematic exhibitions, most notably its Treasures from the Graves, Enduring Beauty and World of Ghosts exhibits that drawn large crowd of curious visitors. The museum's origins date back to 1888, although the present facility was built in 1963. The museum is located on the fringe of Taman Tasik Perdana (the Kuala Lumpur Lake Gardens). Visiting hours are from 9am-6pm daily.